According to Aristotle (1996), oligarchs are citizens who control and command an extensive concentration of wealth — who always happen to be ‘the few’. Similarly, people who, due to their strategic positions in powerful organizations, have the ability to influence political outcomes, are classified by most scholars as economic and political elites (Higley, 2006). 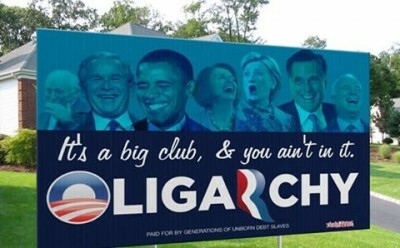 Therefore, the terms oligarchs and elites are often used interchangeably. These individuals can “affect the basic stability of political regimes, the overall arrangements and workings of political institutions, and the key policies of the government” (Higley and Burton, 2006: 7). Typically, elites and oligarchs consist of the top directors and executives of the major corporations. Nonetheless, they can belong to other essential sectors of the society such as political, military and administrative (Keller, 1963). By owning a wealth-producing property, these individuals make large-scale investment and, therefore, employment decisions, which ultimately regulates the United States’ economy (Higley and Pakulski, 2012). Therefore, a large percentage of American economic assets are disproportionally controlled by a rather small number of corporations. The degree to which such private and totally unaccountable concentration of wealth has the potential to translate into political power is aptly synopsized by a closer look at Fortune 500 companies. For instance, in 2015, the top 500 corporations had a total revenue of $12 trillion, which represented two-thirds of the United States’ GDP (Fortune 5000, 2015). Therefore, a fairly small number of individuals disproportionally control the economic might of the United States. By obtaining access to influential policy makers, these individuals exercise power through congressional campaigns’ contributions. Consequently, according to Centre for Responsive Politics (2016), campaign donors spent nearly $3.1 billion in 2016’s elections alone. In their study titled Campaign Contributions Facilitate Access to Congressional Officials, Kalla and Broockman (2015) concluded that superior access to policy makers are indeed obtained through political campaign donations. By embracing the Iron Law of Oligarchy and The Elite Theory’s perspective, this paper illustrated how the U.S. system of governance, while providing constitutional, that is, civil liberties to its citizens, espouses more focused and more powerful interests over more diffused and less powerful interests. This inevitably results in the U.S. political system being a liberal oligarchy rather than liberal democracy as it is presumed by many. First, the paper reviewed the Iron Law of Oligarchy and The Elite Theory and highlighted some of their most prominent advocates. Next, by briefly reflecting upon the definition of the oligarchs and the elites, the paper placed the concept of corporate power and political influence it exerts in context. Subsequently, the paper surveyed an eminent empirical study that found a vast discrepancy in the U.S. government’s responsiveness to the majority preferences as opposed to the preferences of the elites. Last, the paper illustrated how studies confirming ostensibly desirable levels of government’s responsiveness to the preferences of the average citizen neglect the reflection of those preferences to those of wealthy citizens. Aristotle, (1996). The Politics and The Constitution of Athens. Ed. Stephen Everson, Trans. Benjamin Jowett. Cambridge: Cambridge University Press. Center for Responsive Politics. 2013. ‘The Money Behind the Elections.’ http://www.opensecrets.org/bigpicture/ [Accessed 13 April 2017]. Dahl, R. A. (1971). Polyarchy: Participation and Opposition. New Haven: Yale University Press. Dahl, R. A. (1985), A Preface to Democratic Theory. Chicago, IL: Chicago University Press. Dahl, R. A. (2006), On Political Equality. New Haven: CT: Yale University Press, p. 4. Domhoff, G. W. (2013), Who Rules America: The Triumph of the Corporate Rich. 7th ed. New York: McGraw-Hill. Fortune. 2015. ‘Fortune 500.’ http://beta.fortune.com/fortune500/. [Accessed 19 April 2017]. Higley, J. (2006), ‘Elite Theory in Political Sociology.’ University of Texas Austin. Retrieved from http://paperroom.ipsa.org/papers/paper_4036.pdf on 11/04/2017. Higley, J., Burton, M. (2006), Elite Foundation of Liberal Democracy. Boulder: Rowman and Littlefield. Higley, J., Pakulski, J. (2012), ‘Elites, elitism and elite theory: unending confusion?’. Paper prepared for Research Committee on Political Elites (RC02), panel “Elite Dilemmas and Democracy’s Future”, World Congress of the International Political Science Association. Madrid: School of Journalism. Hotelling, H. (1929), ‘Stability in Competition.’ Economic Journal, 39: 41-57. Kalla, J. L., Broockman, D. E. (2015), ‘Campaign Contributions Facilitate Access to Congressional Officials: A Randomized Field Experiment.’ American Journal of Political Science, 0: 1-14. Lincoln, A. (1989), ‘Address at Gettysburg, Pennsylvania.’ In Speeches and Writings 1859 – 1865. New York: Library of America. Keller, S. (1963), Beyond the Ruling Class: Strategic Elites in Modern Society. New York: Random House. Mills, C. W. (1959), The Power Elite. Galaxy edition, New York: Oxford University Press. Michels, R. (1999), Political Parties: A Sociological Study of the Oligarchical Tendencies of Modern Democracy. New York: Transaction Publishers. Mullen, A., Klaehn, J. (2010), ‘The Herman- Chomsky Propaganda Model: A Critical Approach to Analyzing Mass Media Behaviour.’ Sociology Compass, 4(4), pp. 215-229. Monroe, A. (1979), ‘Consistency between Public Preferences and National Policy Decisions.’ American Politics Quarterly, 7: 3-18. Gilens, M., Page, I. B. (2014), ‘Testing Theories of American Politics: Elites, Interest Groups, and Average Citizens.’ Perspectives on Politics, 12(3): 564–81. Page, B. I., Bartels, L. M. and Seawright, J. (2013), ‘Democracy and the Policy Preferences of Wealthy Americans’, Perspectives on Politics, 11(1), pp. 51–73. Schattschneider, E. E. (1960), The Semisovereign People: A Realist’s View of Democracy in America. New York: Holt, Rinehart and Winston. Tocqueville, A. D. (2000), Democracy in America. Translated and edited by Harvey C. Mansfield and Delba Winthrop. Chicago, IL: University of Chicago Press. Winters, J. A., Page, B. I. (2009). 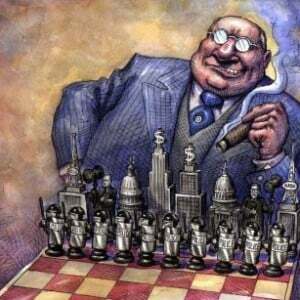 “Oligarchy in the United States?” Perspectives on Politics 7(4): 731–51. Petar Djolic is currently in his final year of Masters of International Relations at University of Sydney, Australia.